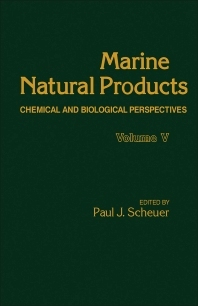 Marine Natural Products: Chemical and Biological Perspectives, Volume V focuses on the chemical and biological study of sponges. Chapters in the volume present papers discussing the various findings and researches on sponges. Topics discussed include a review on research on sponge metabolites; biosynthetic studies of marine organisms; steroid research on unicellular algae; structural organic chemistry of marine metabolites; and marine biopolymers. Marine biologists, biochemists, and pharmacologists will find the book a good reference material.